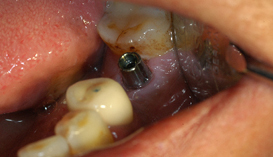 Nobel Biocare Implants, Nobel Biocare Implants India, Nobel Biocare Implants Mumbai, Nobel Biocare Implants dentist. Nobel Biocare Implants India,Nobel Biocare Implants India India,Nobel Biocare Implants India Mumbai,Nobel Biocare Implants India dentist. This is a unique concept devised by the Nobel Biocare. 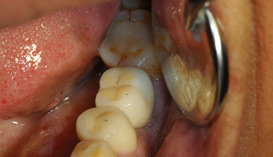 In this system, we obtain a CT Scan of the patient’s jaw and load it on a software, and based on the amount of good bone present in the patient’s mouth one can predetermine the selection of implant parameters (type, diameter and length) and position them ideally safe from the different important anatomical structures present around. 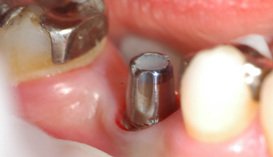 All the planning is done on the software; from determining the number of implants to be placed, to the length and diameter of the implant and the exact position in the jaw. Based on this, a stent is prefabricated using the CAD/CAM Technology from Sweden and shipped to our office. Using this stent we place the selected implants into their preplanned ideal positions. 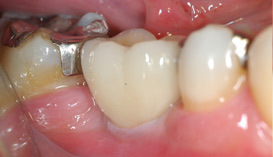 As we know the positions of the Implants we are going to place in the mouth before hand, we can also prefabricate the prosthesis, so that the patient can use his new set of teeth almost immediately. The Nobel’s “Teeth-in-an-Hour” uses the same concept of Guided Surgery and provides the patient with the final prosthesis on the same day of the surgery – so the patient literally gets his New Set of Teeth in an Hour’s Time! The All-on-Four is a concept in which, as the name suggests, one can fabricate the whole arch’s prosthesis supported only on Four Implants! The placement of these Implants is strategically so planned and placed that they are well spread, avoid the important anatomical landmarks, and have the capacity to bear the masticatory load (chewing pressure) of the entire arch.